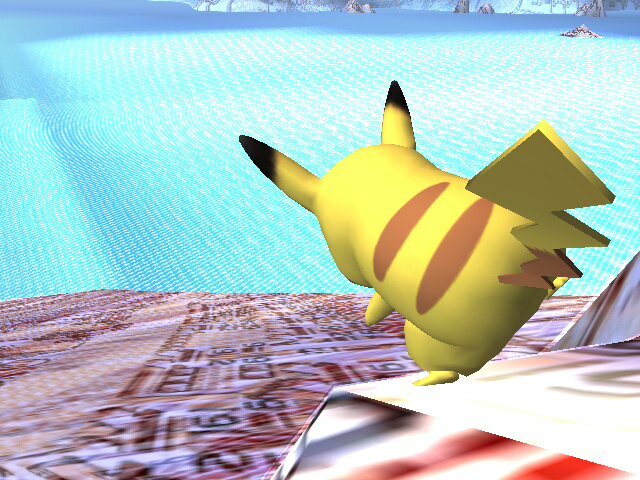 Watch out, Pikachu… or you might accidentally glitch up and freeze game! Who’s that? Could that be…? It is! It’s Missingno.! 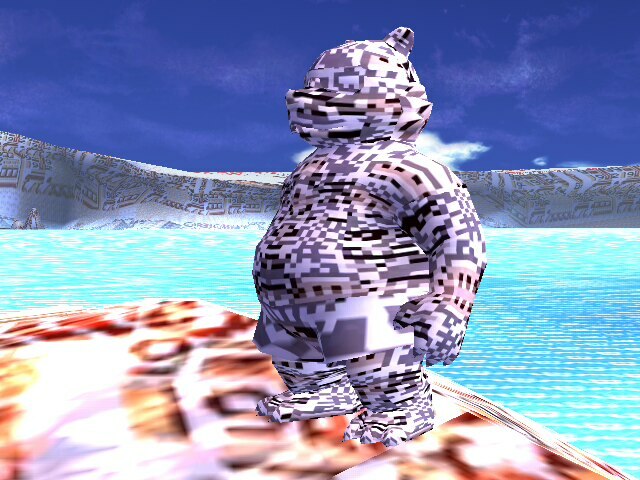 but it looks like he took the form of a Ursaring wearing shorts? 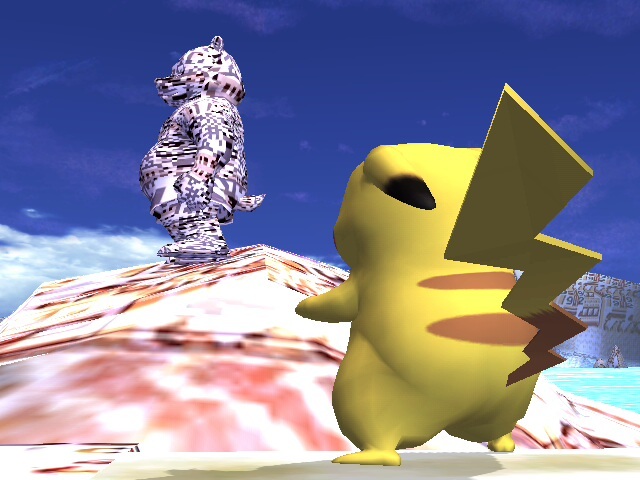 Look out Pikachu! 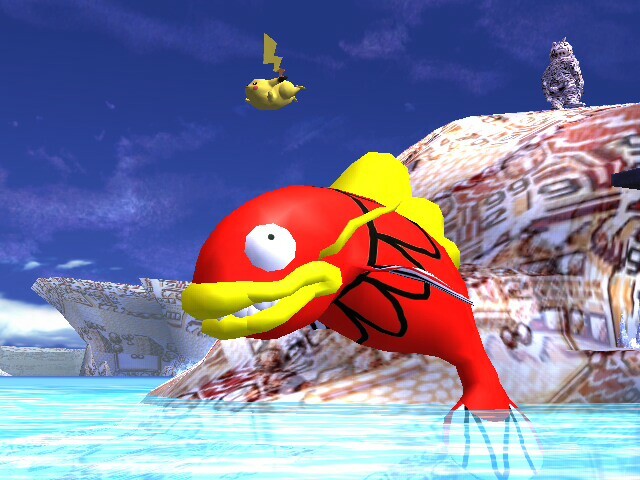 the Glitch City has some abnormal Pokemon… including this killer Magikarp! 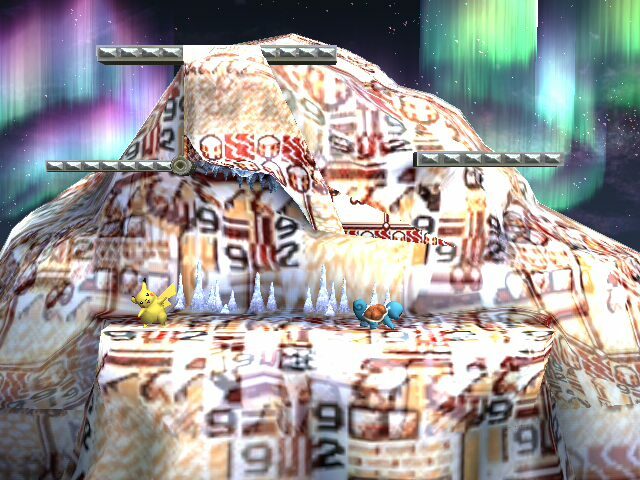 Posted on December 25, 2009, in hacking and tagged blue, brawl, bros, city, glitch, hack, magikarp, missingno, pokemon, red, smash, super, texture, yellow. Bookmark the permalink. 4 Comments.